Cool Maker Sew n’ Style Sewing Machine Review - Crafty, Cute and Fun! Cool Maker’s Sew N’ Style sewing machine is a highly rated sewing machine for kids that comes with a pom pom maker attachment. You won’t find a professional seamstress using this sewing machine, but you will find that it’s a great fit for younger kids. When it comes to basic sewing needs, the Cool Maker is easy to use and has features that will encourage kids to begin sewing. When you try to pull a kid away from their electronics, it can be difficult to get them to look away for even five minutes. But Cool Maker offers accessories, fabrics and patterns to help kids get started and make sewing more fun. The fabrics are durable, and they’re sparkly to catch the eye of kids and entice them to sew. 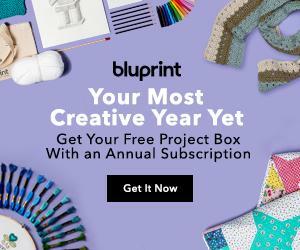 Patterns are also included, along with other accessories, that will allow the user to start creating five, fun projects. Amazing creations await with the Sew n’ Style, and it’s up to the child to come up with creative, imaginative designs. This hands-on sewing set doesn’t come with complicated needles to thread or settings that confuse users. Sets are made by real designers, so all of the projects are fun and exciting. Easy to use and safe, the Cool Maker’s Sew N’ Style knows that kids can quickly become injured with a traditional sewing machine. This model comes with a protective needle guard that surrounds the entire top of the machine. A protective guard is in place to ensure that little hands do not make their way into the path of the needle. A common safety hazard, traditional sewing machines have been known to have needles go straight through a child’s hand or finger – ouch. The kid-friendly needle allows parents to have peace of mind in knowing that their child will not become injured by a sharp needle. Kids also benefit from this added safety feature because they’re allowed to feel a sense of freedom when sewing. Parents don’t need to hover over their child when they know that the machine will not cause injury. It’s offers a sense of creative freedom that will allow you child to use their imagination when sewing. Looping thread is also easy thanks to the string guide. The string guide allows for easy thread looping, and there’s even a seam guide. When it comes to low lighting in a room, the machine has a light that will illuminate the child’s workspace. Independent and creative play awaits all users. There’s also ample storage for all of the included accessories. You’ll find that the storage drawer is large enough to hold smaller accessories for quick use. When designs are plain or a kid wants to jazz up their projects, they can do so with the pom pom maker attachment. The attachment is on the side of the machine, and it allows users to attach colorful pom poms right to any design. The pom pom maker is a great addition to the sparkly fabric. If kids want to create a glitter pouch, they can do so with the included material and playbook. The glitter pouch is a great way to get started with sewing and helps kids complete a useful project that they can start using immediately. The string that you’ll be buying is actually yarn, and you can purchase this yarn at any craft store. Thicker string does have the downside of not being as “tight” as regular sewing thread. What this means is that it’s easy to pull the fabrics apart if you try, but under normal use, it’s perfectly fine. Fabric kits are also sold online if you want to purchase the same fabrics that came with the machine again. What’s really nice is that all of the projects that are included can all be completed in a few hours. It’s a great starter kit, and it’s one that will be able to continue being used for years. But there are also downsides to this sewing machine. A minor issue is that the yarn or felt, which is much thicker than traditional sewing thread, will not be as strong as regular thread. This means that the end project isn’t as strong as a regular sewing project. So, the projects that are made won’t last too long. You won’t want to make these projects as gifts because they will fall apart over time. 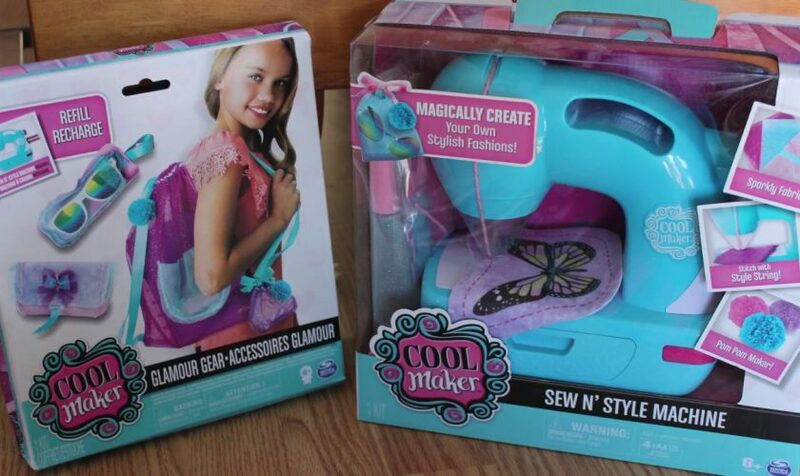 The Cool Maker’s Sew N’ Style is the right choice for younger kids that want to create basic projects. It’s a good introduction into sewing and offers a safe alternative to a complete sewing machine. You can also choose most types of fabrics to use with your projects. If you have an older child that is ready to start sewing for real, you may want to check out our page of beginner sewing machine recommendations here. Click here to view pricing and availability of the Cool Maker’s Sew N’ Style.